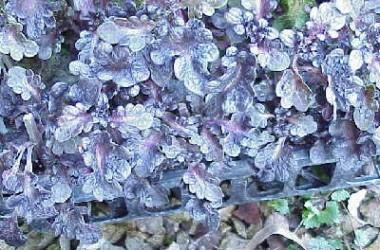 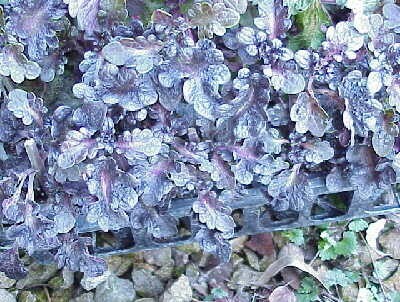 Very frilled 'Cantigny Royale' sport forming petite tumbling mounds of frothy purple foliage developing a faint cabbage green edge in lower light; this excellent Charles Downer find seems to have developed an awkward alias of 'Duckfoot Midnight' in Florida trade. 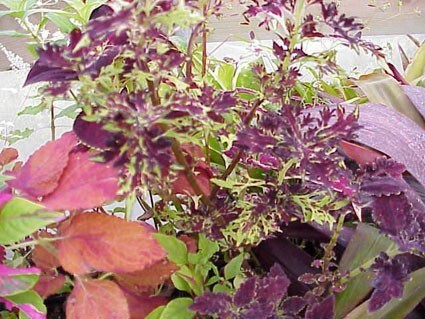 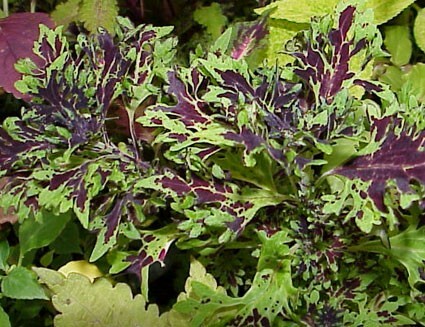 Renaming plagues the Coleus offerings nationwide. 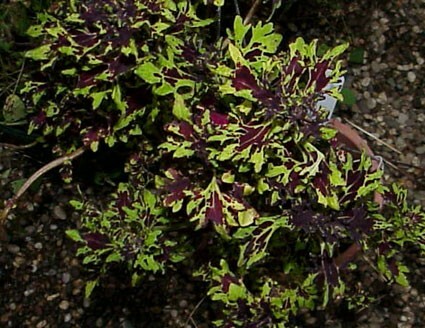 We are confident that this excellent hybrid prefers to achieve the effect of lace far more than becoming a quacker--in fact this is by far the strongest hyperlacy hybrid for exposed sites such as containers in windy areas..